Email marketing for a local business is all about staying in touch with your prospects and clients so you can continue to offer them information about your services and products. It’s not about spamming your clients and prospects with messages of self-promotion and advertising. The fact is most people who visit your website will leave without purchasing your service or product and will never return! Maybe they were performing research and weren’t ready to buy yet or it wasn’t clear what action you wanted them to do at your site. Regardless of the reasons, you spent all that time and effort – and cost – getting potential prospects to your web site, and now you’ve lost them forever! Alternatively, capturing and adding visitor’s email addresses to your list – before they leave – provides you an opportunity, through email marketing, to keep your local business in front of your subscribers with your valuable messages. Provide advertising space for other businesses. So your web site should have a compelling offer to visitors so you can capture their email address and add them to your email list before they leave your site. 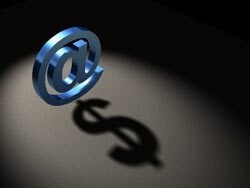 Once you have a list you can start running your email marketing campaign. If you don’t have a method of capturing visitor’s email addresses at your web site we’ll help you create one and then manage your email marketing campaign for you on an ongoing basis. Because of the amount of spam on the Internet people are reluctant to hand over their email address just because you asked for it. You have to offer them something valuable in return, like a free report, with information they can’t get their hands on anywhere else. Don’t worry we’ll help you create a compelling offer and free report. If you already have an email list then we may be able to implement an email marketing campaign for you quickly depending on how the list was created. Email marketing is all about building a relationship with your subscribers, and you do this by providing them relevant and meaningful content on a regular basis. Providing tips, resources and “how to” information that reinforces you as the expert keeps their interest in your local business uppermost in their mind. As long as you consistently deliver on your promise of relevant content then you can weave into your email messages special offers, and discounts, for your service or product that benefit your subscribers, and move them towards becoming a client or purchasing additional services or products from your local business. For a free consultation about how our Email Marketing service can help you increase your small business profits, please call us today at (508) 479 2840 or click on the button below to complete a request for more information.